The Internet is an infinite vessel of knowledge; in fact, there's so much information online that it's easy to become overwhelmed. It can also be difficult to separate the wheat from the chaff. Improve your research skills with an internet scavenger hunt. A scavenger hunt is an activity in which participants are required to find a list of specific items. 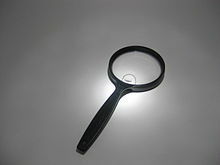 An online scavenger hunt, also known as a cyber hunt or web quest, is an online activity in which participants are required to find answers to a set list of questions. Interner scavenger hunts were originally used to introduce younger students to the Internet and have become a fun activity for people of all ages. You will find a large selection of scavenger hunts for teenagers and adults at this site. The hunts come under the topics of arts, social studies, months and holidays, literature, civics and problem and project based learning. The site is designed to help users develop internet research and web browsing skills. Vicki Blackwell's Internet Guide for Educators allows children to become online pirates on the search for internet treasure. The site, which was developed for teachers, lists dozens of hunts on a range of different topics. It is an American site so does have some American-centric features (such as a Thanksgiving hunt) but is mostly appropriate for use by children all over the world. And if you find that you've got a knack for finishing your hunts in record time, why not compete in an online competition for cash prizes? Cash Treasure Hunt awards hosts daily online treasure hunts, in which the prizes of up to $1000 can be won. The first person to answer all the questions wins. It's free to register and free to play. An online scavenger hunt in an activity for big kids and little kids that helps to refine your internet skills.